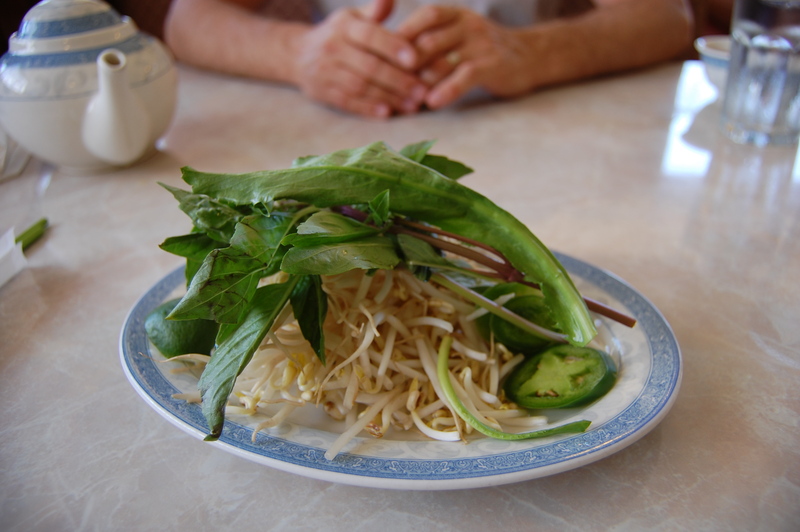 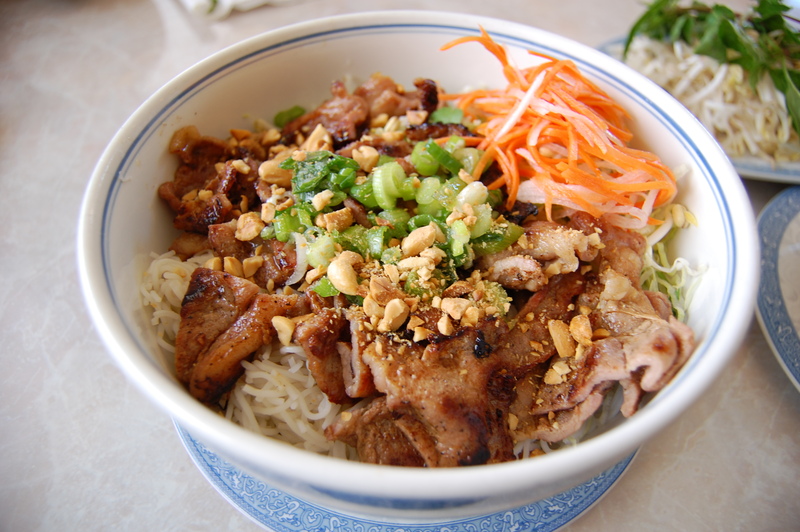 On the corner of 39th av and Main st is a place called Pho Dalat, its a Vietnamese soup place across the street from Fred Meyer, the food emporium! 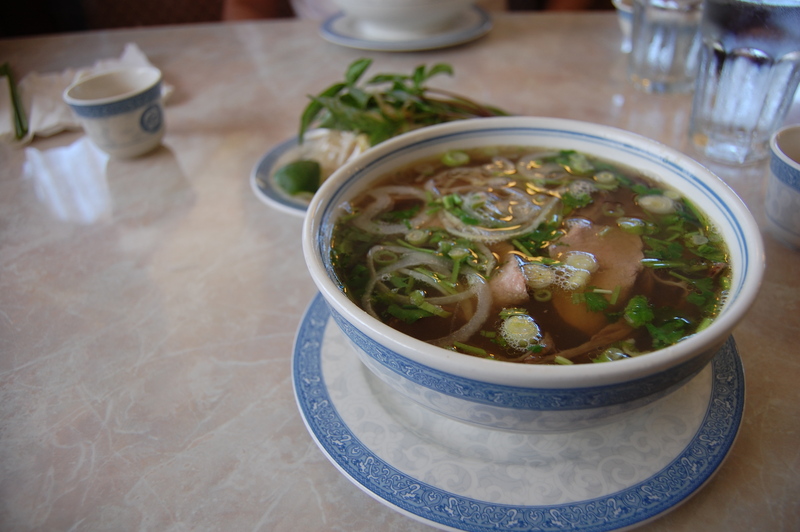 They serve $5.00 Pho all day. 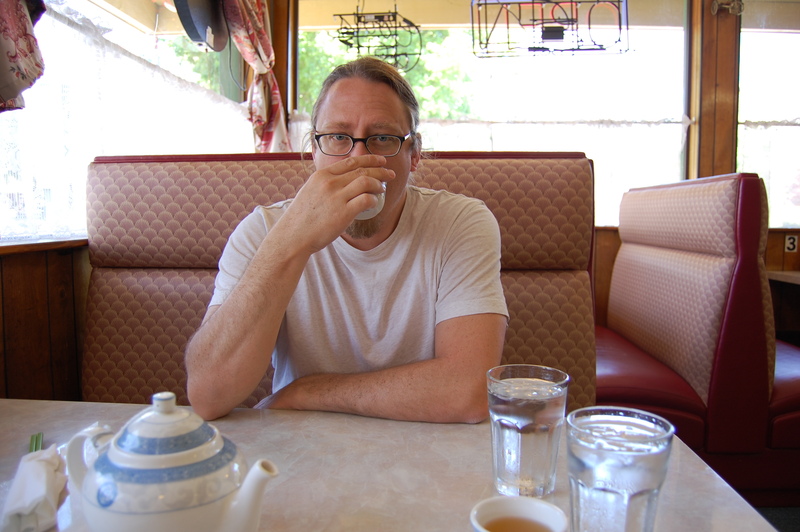 John and I go at least once a week, he will go without me a lot too! 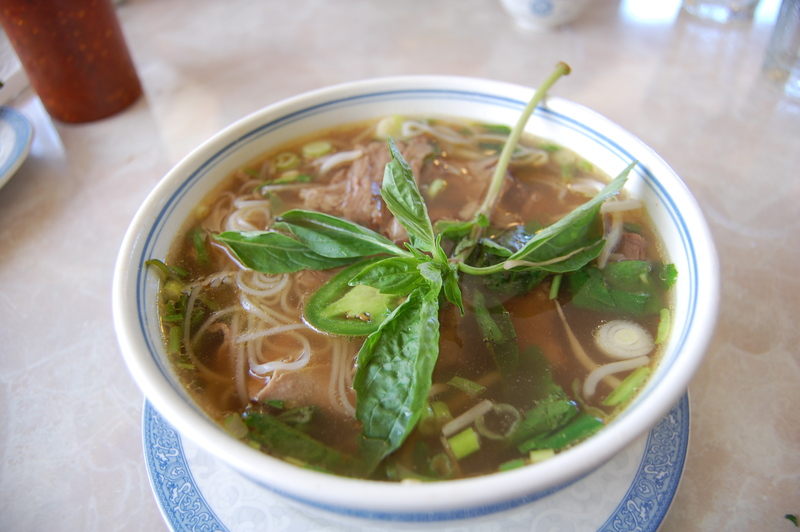 Pho is a soup made with beef stock, beef slices, spices and added herbs and noodles!